Imaginative creator through methods such as poetry, photography, art, and writing. My desperate mind on you. Lee Todd Lacks This is incredible, Josie. The sublime natural imagery, the disarmingly powerful shift between the speaker’s vision of the forest and her recollection of a wayward lover. Beautifully written! I would like to thank John for picking my poem to read this Sunday and doing it so well on his live show that he hosts every Sunday on Facebook. Give a listen here and take in the lovely poetry shared live with a poetry community of caring individuals. and the blue stars were shivering in a very distant land. This night, the wind raked the sky of color and sung about it. Tonight, I can write about it. I loved him, and sometimes he loved me, too. under the endless sky of darkness. He loved me sometimes, and I loved him, too. How could he not have loved me? His great blue eyes still seeing me. Tonight, I can write the saddest story. To think that I do not have him. To feel that I have lost him. To hear the immense silence, still more immense without his love. these verses stick in my soul like the dew to the pink roses. What does it matter that my love could not keep him here? The nights are shattered because he is not with me. In the distance, someone is singing about this. My soul is not satisfied since I lost him. as though to go to him. My heart looks for him still, and he is not with me. of that time, that is no longer the same. I love him, that’s certain, but how I loved him is mine always. My voice has tried to find a way to touch him. His voice. His beautiful body. His infinite blue eyes. I no longer have him, that’s certain, but maybe he will remember me. Love is so short often, forgetting is too long. my soul, has lost him and those are static embraces. and these will be the last verses that I write for him. When I remember the ending of our union. As my endless kisses translate my wanting. from this coupling and lives dimly inside my body for days at a time. Pick up this book, if you want to read about Galveston and its history while learning about the struggles in a close community. I would recommend her first novel, too because is an excellent read and very informative, too. 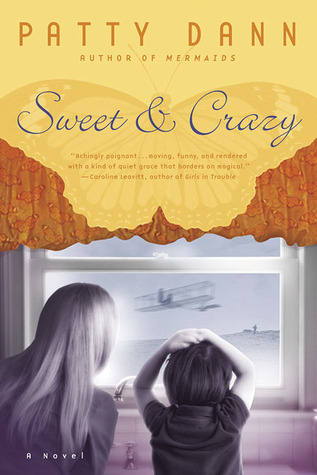 Ann Weisgarber uses her research knowledge well in her fiction works with intriguing characters and she creates a great depth for a sense of place inside her books. I will be reading more of her written words in the future. She makes a reader think deeply and want to know more after shutting the cover of her novels. By the way, this cover on this paperback version matches mine and I love it. It conveys the true image of the story once Catherine arrives in Galveston. Galveston is also a main character once the story is set on this island with the dairy farm and the close sea water in the view from the veranda of Oscar’s house on stilts situated on a small rise. Weisgarber’s first novel was beautifully crafted and I could not put it down. The historical characters in it were very well formed and I couldn’t forget them. They were convincing and that is something I missed this time around with some of these characters along with the situations in which they interacted and how they reacted. The results of some of the scenes were troubling for me. Oscar’s loyalty is real and Nan’s feelings towards him are also very strong. Catherine reveals her true feelings, too towards Oscar in her final actions. The two narrators did not work for me in this story because I loved Catherine’s voice and Nan’s voice grated on my nerves! She is very negative and a real killjoy to this story. Nan Ogden becomes the real main character, not Catherine once Mrs. Williams is introduced into this saga of characters in Galveston. Nan is in the Prologue, and she returns as a narrator that doesn’t bring anything to this but sorrow, negative opinions, and jealous thoughts. Her personality is that of a villain. 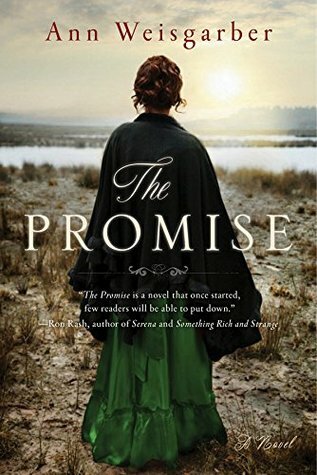 The characters do make plenty of promises to reflect back to the title. However, the promise to take care of Andre is not totally revealed at the end along with other loose ends where the reader must draw their own conclusions about what really happened to some of these characters. Catherine is new to Texas and she arrives on the island trying to bury all the hurt her life has brought to her back in Ohio where the community turned up their noses at her because she let down her guard and loved the wrong man. A man tied to another woman that was not fulfilling his desires the way Catherine could for him. A marriage doomed because of some uncontrollable forces bearing down on it. Catherine feels trapped, alone, and she decides to leave the area by going off to marry a man from her past that she has not seen for years. Catherine becomes Andre’s saving grace and he does appreciate her actions and her direction. Andre is starting to care about her and her presence in his young life. She is a beautiful woman that does what she has to do to protect this small boy during a battering hurricane and in my mind, she is the hero of this story. Andre is comforted by her singing, her actions, her protection from the tragic events around them as they seek shelter at a higher level together. She provides this boy with nourishment, even though, she has no experience in this area or much knowledge about raising children. Catherine does what comes natural to her in this time of need for Andre. She puts him first as a mother would do and she guides him through this tragic event even when she tells him to go the Nan’s homestead and leave her behind to wait for Oscar to return. She is always thinking about other people and their needs, not her own. Oscar is a dear man that truly loves Catherine and he puts everything aside for her but his farm commitments and the community he lives in are still what makes him tick and what is most important to him. His passion for his animals is beautiful. Social taboos do not stop him from loving this woman and being very understanding with her needs. She is starting anew with him and I think he is doing the same in this setting in Texas with his second wife. He values her input and her company in this unforgiving setting. Nan has a lot of her past still in her thinking, such as troubles with close relationships and bad experiences involving men in her life. However, she doesn’t let them go. She never tries to move past them. Nan keeps them on her sleeve. Her personality is altered by these bothersome experiences with men she has loved and lost. Nan will not bend or change. I think she is smart in the areas of dealing with her geographic surroundings because of her experience in this area of the country. She warns Catherine about the snakes in the beginning of the story. What still bothers me is why didn’t Nan remove the poison from Catherine’s hand and arm when she is caring for her after the incident in the pasture? Did Nan purposely leave it as is? During the conclusion of this fiction story, the reader is brought back to Nan’s voice and point of view. She is cleaning and thinking about what to do about Andre. I feel she wants Andre for herself because of the “Promise” she made in the beginning to his mother. I think this is why the book ended the way it did because Nan is the focal character and she gets what she wants in the end! Music is a symbol in this story often along with setting the time period in the 1900’s. Classical songs are featured with Catherine and Nan both being musicians. I felt this was the only thing they had in common. Nature, animals, and pelicans in the area are referenced. Child-rearing in the 1900’s is also a key element. Nan’s approach and Catherine’s are very different. I felt Catherine was a better mother and had a tender side that I admired with a wonderful teaching method. Oscar is a man that conveys trust, honor and being committed always to his community of people. He has strong values and lives by them daily in the story. Catherine tells Andre about his father’s childhood and his life back in Ohio. She instills this family history in Andre. I did not expect the story to end like this and I felt empty after finishing it. It brought about a void to me. When the storm grows strong and the air turns bad with the humming and shattering noise, it brings death to mind. The salt in the air and everywhere it is not wanted because of the rising sea waters, and Catherine takes Andre to the attic stairs, I felt her pain and her confusion during this scene. Nan was strong but in that scene, Catherine was also very fearless at times by comforting Andre when she didn’t feel quite sure what to do. She never let him know how truly afraid she was inside her mind and that was what a true parent does for a child in a situation like this and she wasn’t a female that had carried a child inside her body. At least, it is not said that she ever did. I thought maybe she was expecting an infant and I was hoping she could tell her husband this news when he came back. But, that never happened. I did not feel Catherine longing to return to Ohio. She thought of her mother and even thought about writing her mother. 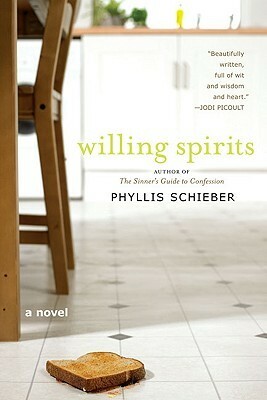 The social rules of the 1900’s stopped her from returning to that former life and writing her mother in Dayton. Nan’s inability to read is visited through her questioning the information in the letters she encounters while she is cleaning up after the storm. The differences between the two women and their voices are very opposite. Nan is an unpolished woman and a no-nonsense type. Catherine is a very polished female in her appearance and her manners. The isolated landscape on the dairy farm is not what Catherine is accustomed to but I think she tries very hard to make the most of it. I felt she had courage in her heart to try to fit in while also keeping some of herself the same because Oscar admired her for the woman she was when he knew her in Dayton. The history in the novel is valuable and intriguing to read about now. The setting in Texas is well done with the details about the surroundings where Oscar farms and cares for his community. Many funny moments & many sad thoughts, too. At thirty-nine, Hanna Painter has returned to her hometown of Ash Creek, Ohio. Her husband, Ed is dying of cancer inside their home. Pete is four when his father passes away there. This is the start of Hanna’s journey without her husband by her side. Hanna, a young widow and her son trying to go on after the death of her husband. Now, a single mom that had hopes of a bigger family instead of a smaller one. Pete becomes a five-year-old expressing so much laughter while his mother grieves inside for what she had once and it is gone. Her close friends and her dreams are keeping her afloat. Little Pete tells his mom, “Now you’re a window,” he says this after his dad dies in their home. He is quicky, and a comical boy often during this story. Hanna is teaching older women to write about their lives at the local YMCA and she also works at the local library. Eventually, Pete starts kindergarten and he quickly finds a best friend, named Omar, the Indian son of Mazur, who runs the local cleaners in a strip mall in their town. Pete wants to keep of his father’s stuff and he moves most of it to his closet for safe keeping. Their neighbor, Thomas becomes a central person in their lives. September 11 becomes an important topic among these characters as the story unfolds and shows us what they felt about it. Thomas works as a cooper at the eighteenth-century colonial restoration outside of town that he calls The Hill. However, he also leaves town often on business. During one of his road trips, a girl appears in his drive. She is driving a flashy sports car and Hanna sees her from her kitchen window. Hanna, Thomas, and Pete form a new family together. The Twin Towers are attacked and changes appear in their community. Prejudice thoughts are a recurring device towards the end of this book. Mazur and his family are a target in the community and Hanna finds herself puzzled by this and the why behind it. Maureen enters Thomas’s life and in turn, she enters into Hanna’s too. The Hill is a setting where the characters often meet or retreat to during the story. Hanna’s dreams are central, too as these characters grow closer to each other. The whole story is about Hanna and her life. The ending leaves me thinking about some of the other characters and what happened to them. However, I think Hanna finds what she is looking for through Thomas in the end. 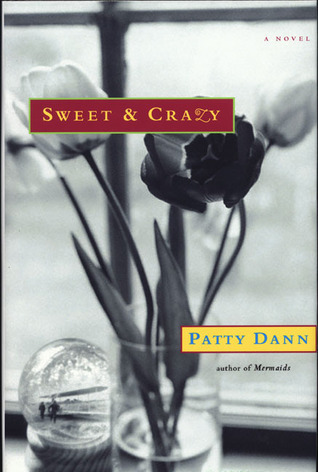 Patty Dann’s writing is very poetic throughout this novel and a joy to read. It is a novel about two women and their shared relationship. A true friendship that endures all. Wisdom and love are involved in the pages. Stay warm inside with a good book & hot drink. And, in between, create something special for the holidays. A book about using fresh perspectives and adopting the right mindset to conquer obstacles in your path as you pursue your dreams. Not only are there wonderful stories in each chapter, they also included some pictures of their experiences as they peddle along together. I finished their book titled, Wheels of Wisdom by Tim & Debbie Bishop. It is a story a pair of well-connected people on a bike trip together. They are bicycling across America. Taking in the scenery and experiencing adventures, new shared perspectives, and they are finding ways to overcome daily obstacles on the open road together. This book incorporates faith through this couples’ experiences and the sharing of their thoughts. They also share an eye for the right details as they penned this book and they provide many philosophical reflections in the chapters of this volume of unified spiritual travel. I never thought about how little one can take on a trip like this one. Doing without isn’t always a burden but a blessing in some ways. Debbie writes about becoming too attached to her belongings as she describes how she did her laundry. Drying it by hanging it on her back rack so it can dry in the wind as she peddles on towards another destination. Socks, tops, and bike shorts hanging from her bike in various ways while tackling heavy traffic. Only the bare necessities can be kept on the road trip via a single bicycle because excessive weight can cause too much swaying and overly tired legs. While in North Dakota, Debbie loses one of her cherished sandals and she realizes that even though, she is heartbroken because she was attached to these rather expensive sandals, the incident reminds her not to become too attached to her possessions. Instead, she focuses on the beauty of nature around her as she bikes through the area. Debbie redirects her feelings. She knows that traveling simply is best. Her freedom to enjoy the area wins over dwelling on her painful loss. Balance in life is important and it relieves stress. Shifting thoughts often helps to decrease grief felt over a loss. When one’s burden is too heavy, make it easier by lightening it. Excess baggage can drag a person down. However, the clutter that I am talking about is emotional clutter inside our heads. Baggage that we don’t let go of or get rid of because we are mad, jealous, bitter, and we keep a grudge stored up inside our souls. This creates an unhealthy mental process inside us. Our thinking becomes cloudy with hate and resentment. Tim addresses this emotional baggage while in Oregon. He writes about identifying the problem and purging it to move on and progress towards one’s goals. If you need to forgive someone or grieve a loss, then do it because it will set you free. Surrender to it, and choose to move on for your own freedom from it. Then, celebrate life without the burden. It will be more meaningful and you will fulfill much through this process of letting go to enjoy this world without that rusty, heavy anchor pulling at your soul. This couple addresses many challenges as they continue to travel while changing together to pursue their shared goal. Challenges however rough can transform a person. Debbie writes about challenges in life and making an effort to take them on. In our daily lives, there can be many challenges like social ones, physical ones, or even financial ones that nag at us. Debbie writes about a physical challenge that bothers her as she peddles through Oregon’s countryside. However, she tells how the experience becomes worth her pain because of the breath-taking beauty she sees in an amazing combination of forests, snow-covered mountains, and lava fields. Her satisfaction at the end of her day becomes priceless to her. Enduring pain can often pay off with such tremendous happiness if one just hangs in there and faces the challenge. Sometimes the change is so significant and if a person allows it to transform them, they can feel a wonderful liberation inside their bodies that moves them to believe in the commitment to conquer these daily challenges. They are often out of our control and can’t be avoided. Bumps in the road. Yes, there are many on this trip, and they don’t always turn out the way that was planned but they often are worth it in the long run because they provide such wonderful reflections on life and solving those unplanned struggles that pop up without warning. So, pick up this book and learn more about using wisdom to conquer those bumps, detours, and learn how to avoid self-inflicted pain. Debbie and Tim will provide the life lessons and show you how to appease your restless spirit as you turn the pages of their book penned together. **The publisher has provided me with a complimentary copy of this printed edition through BookCrash. Teachers, Peacemakers, Witnesses for Justice and Learning Societies. Let´s Get Smart. Let´s Get Active. Let´s Be United. Improve the Planet NOW!!! though the mountains will crumble, You will not.